The screaming eagle of soul. If you've listened to a Charles Bradley album before then you know that's an apt description of his prowess. The third album release from the marquis act at Daptone's Dunham Records sees Bradley embrace that moniker like never before. And like no one else could. The Daptone Records family - and it's extended members - boast an indelible list of vocalists including the power house that is Sharon Jones but Charles Bradley forged his own path following the release of 'The World (Is Going Up In Flames)'. The ultimate in Cinderella stories, Bradley was discovered by guitarist Thomas Brenneck before releasing his debut album in his early-60s. With Brenneck again on production for 'Changes' - and also marking the third time that Bradley is backed by Brenneck's Menahan Street Band - the style on this release shifts away from the psychadelic soul of 2013's 'Victim of Love' and steers things back towards more classical soul stylings. 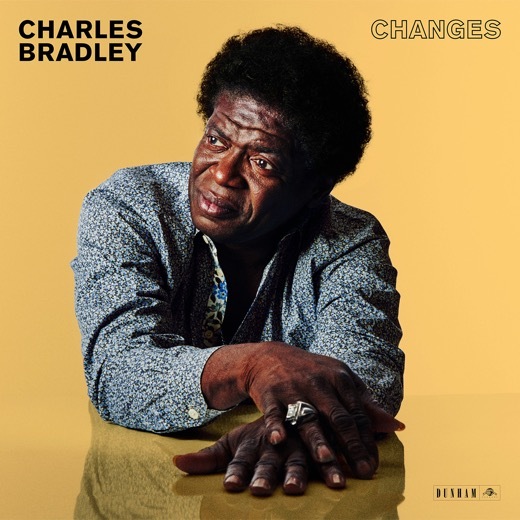 If you've never purchased a Charles Bradley album, this serves as an excellent introduction so while 2016 is already bursting with quality releases, don't let this one slip through your fingers.